Today’s connected consumers demand a personal shopping experience that can only be met when sales associates are no longer tied to the cash register. 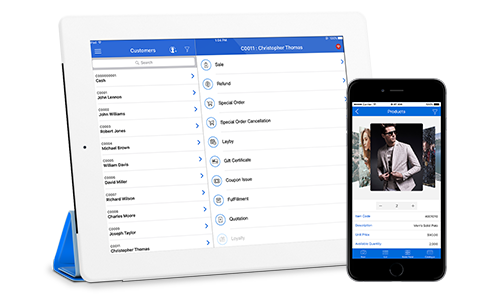 iVend Mobile Point of Sale (mPOS) enables retailers to engage and transact with shoppers from anywhere on the store floor or remotely via any iOS or Android mobile device. With mobile access to all core point of sale and customer service functionality in-store staff can convert more sales without leaving the consumers side. For retailers with limited floor space, pop-up shops or simply looking to evolve the customer experience and streamline the sales process, iVend mPOS serves the omnichannel retailer with an interactive, mobile point of sale system that combines personalized selling with enterprise-wide inventory visibility, real-time sales data, product availability, customer history, promotions, loyalty points, Buy Online, Pickup In-Store functionality and wireless payments. 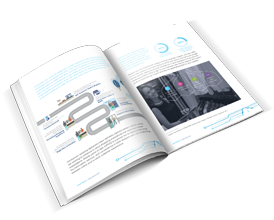 Learn the secrets of finding a reliable Mobile POS system in our free, Buyer’s Guide: How to Use Mobility to Bridge the Omnichannel Gap. Drive sales in different parts of your store – hold a demo or a class in-store to promote a product or category and sell to enthused customers on the spot. Increase sales from flexibility to open temporary pop up stores or provide service at off-site events, even without an internet connection. Set up sidewalk and parking lot tent sales just outside your store or take your products wherever your customers gather. Line-bust to get customers through the check-out line as quickly as possible. Easily expand checkouts when store volumes increase. Manage long lines during the busiest parts of the day or season to avoid potential lost sales, due to long waits. Use the same hardware support other store functions when customer traffic is quieter, for example, mobile based inventory management. In addition to cash, debit, credit, store credit, gift cards, loyalty points, coupons or digital offers, NFC enabled mPOS devices make it easy to implement and process mobile wallets such as Apple Pay, Android Pay and Samsung Pay allowing consumers to use smartphones to pay for goods and services. Turn cashiers into sales consultants with personalized guidance on products, reviews, stock availability, delivery methods and past purchase data. Close the sale on the spot and build a positive perception of your business. Designate a return station to avoid back-ups at the sales registers and work with the customer on a more personal level to ensure their satisfaction. Answer customer question about a price or availability of an item without ever leaving their side and provide information needed to ensure the sale is made. Collect customer details before, during or after sale from anywhere in the store or gain the opportunity to ask for customer email address even for those not purchasing to build your database for future email marketing opportunities. Small format retail chains can expand faster into new locations and geographies with little to no new investments in IT Infrastructure with lower priced mobile devices. Available from the Apple App Store or Google Play. 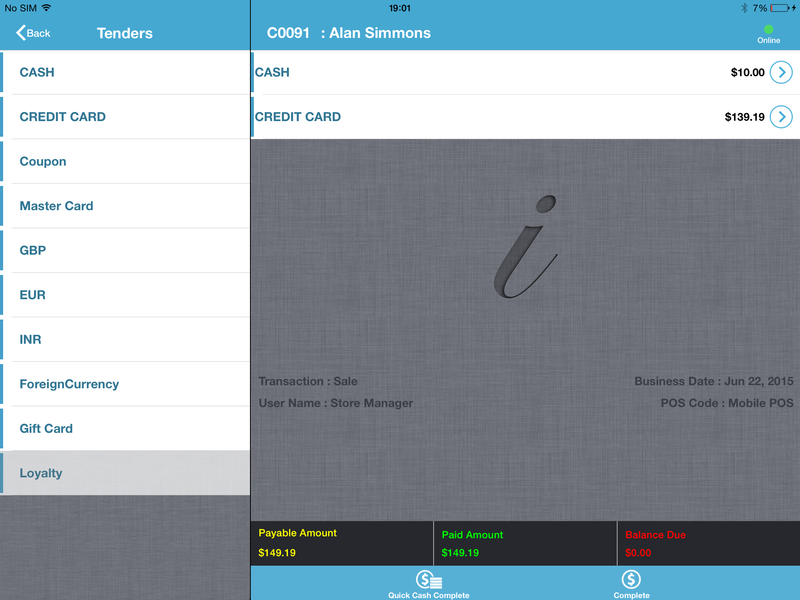 iVend mPOS gets easily installed on a mobile device like any other App. 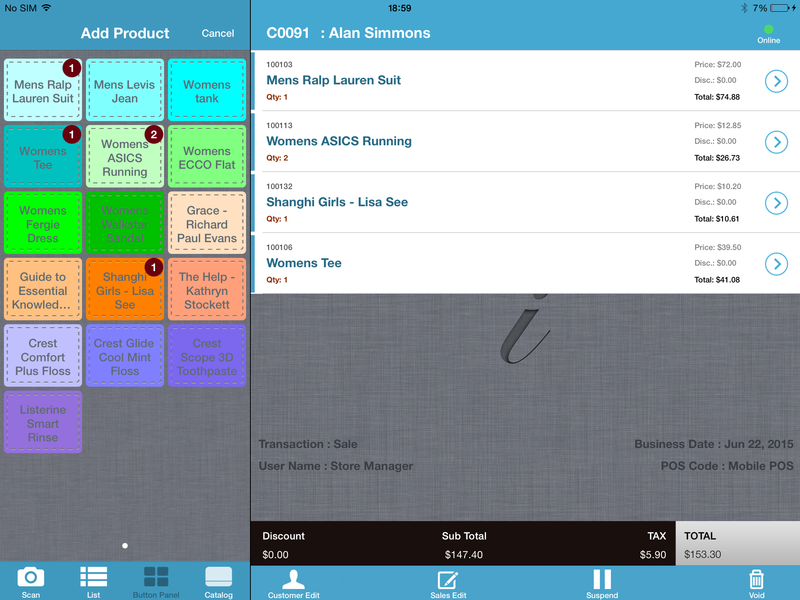 Access to all core point of sale and customer service functionality. 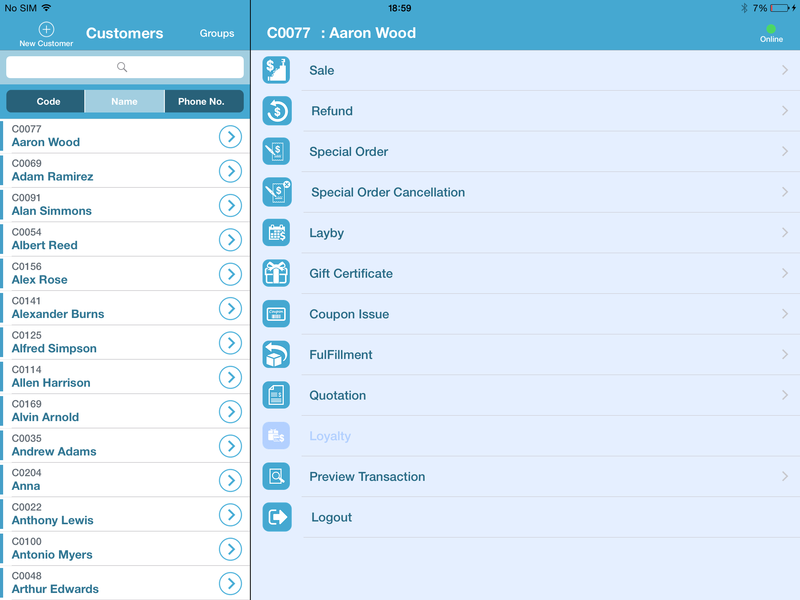 The mobile devices are connected to iVend Enterprise or iVend Store Management Console depending on setup preference and circumstances. Comes with 12 languages as default, others can be added. Works online over Wi-Fi or a 3G/4G/LTE connection. It also works in offline mode when there is no network connectivity and synchronizes with iVend Enterprise when network connectivity is restored. Full support for processing special pricing, promotions, loyalty rewards, paper or digital coupon based discounts, foreign currencies, gift cards and charges to account. Perform the End of Day operations right from mobile devices with inbuilt dashboards reporting transactions by value, count, tender details, X-tape, etc. 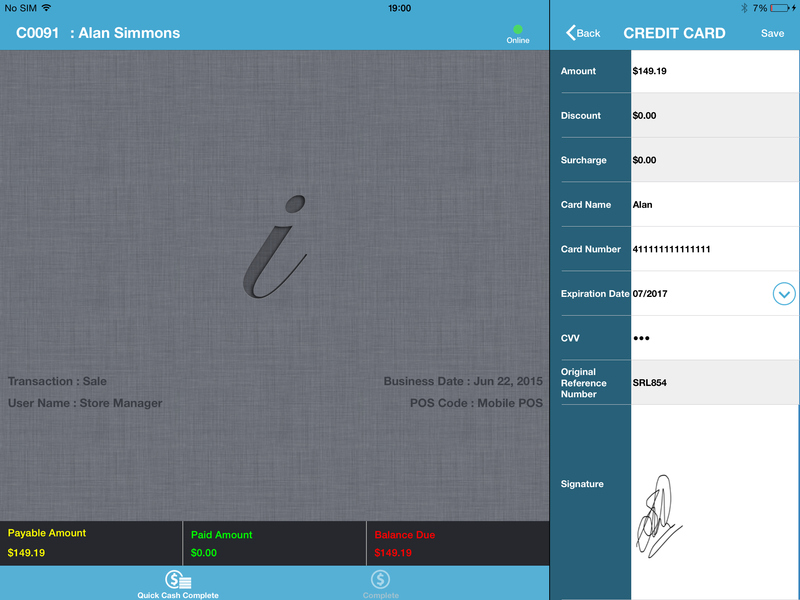 Easily review the number of transaction voids, line item voids, cancelled and suspended sales etc. for loss prevention to investigate. Faster data synchronization speeds for data sync to iVend Enterprise in near real-time. In online mode transaction validations like special pricing, promotions and coupon based discounts are applied immediately. The device maintains its own copy of the master data and these values are used for transactions. 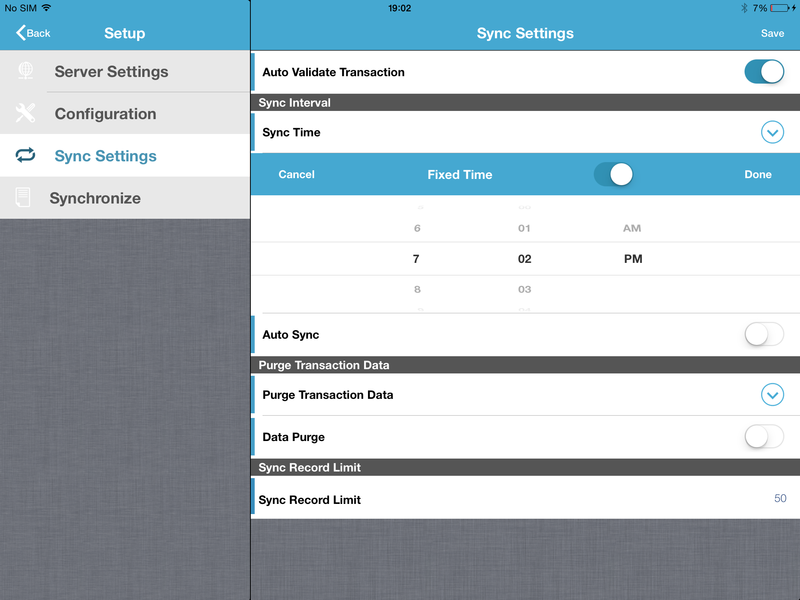 Synchronization can be scheduled manually or automatically. In today’s hyper-connected world, smart retailers are bringing in-store staff out from behind the counter to build personal experiences around the customer. iVend mPOS gives in-store staff the ability to access product information, reviews, customer and inventory data, process payments, quickly answer shopper queries and, utilize loyalty program data to personalize offers and rewards. Watch this short video to learn how iVend Retail can help drive greater customer engagement, increase sales and enhance loyalty.